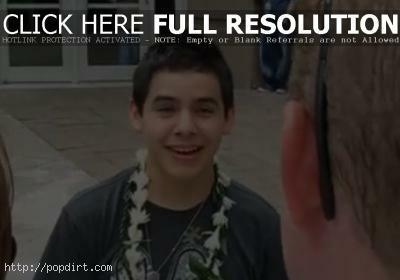 ‘American Idol’ season seven runner-up David Archuleta was videotaped signing autographs for fans outside the Toyota Center in Houston, Texas on Sunday (August 24). Fans sang his new single ‘Crush’. At one point, the Utah teen, who hadn’t been feeling well, had to go inside to blow his nose, worrying fans who hadn’t gotten autographs yet. Watch a pair of clips below.